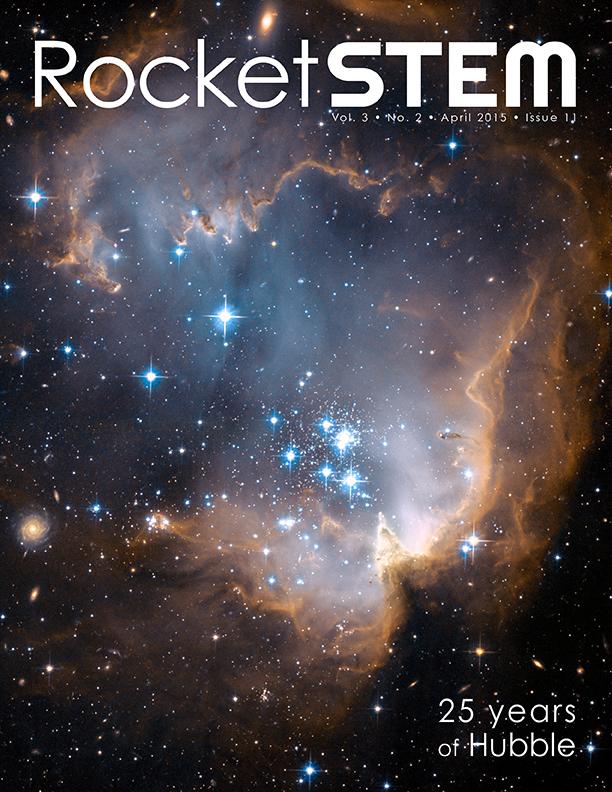 Welcome our supersize collector’s issue of RocketSTEM devoted 100% to the 25th anniversary of the Hubble Space Telescope observing the Universe from Earth’s orbit. RocketSTEM Media Foundation is registered with the I.R.S. as a tax-exempt charity under Section 501(c)(3) of the tax code. Donations are fully tax deductible.